In Part II of my essay, “Evolution of Democracy,” I discussed Dr. Doron Shultziner’s evolutionary thesis regarding the development of modern-day “liberal democracy.” In this part, I shall look at Shultziner’s conceptualization of the way in which Paleolithic, egalitarian hunter-gatherer groups emerged and maintained their structure and functioning over thousands of years and how the mechanisms that developed were bequeathed to the democracies of the 20th and 21st centuries. The number of people in a foraging band did not usually exceed a few dozen. In these small nomad bands the acquaintance with other people was very close due to group size. Christopher Boehm [citation in original] says that these were “societies of equals, with minimal political centralization and no social classes. Everyone participated in group decisions, and outside the family there were no dominators.” Even after several thousand years of sedentary influence, only very few nonegalitarian foraging societies exist [citation in original]. In fact, social mechanisms that maintain the egalitarian structures are so intricate and culturally sophisticated that Boehm argues that these groups created “reversed hierarchies”, meaning, leaders are actually dominated by the rank and file and not vice versa. The egalitarian structure was, and still is, accomplished by sophisticated social mechanisms that are known as leveling-down mechanisms. …social practices which are aimed at controlling over-assertive individuals from boasting their success and traits (e.g. in hunting) and at containing leaders from exploiting their position…. Leadership is necessary for…internal conflict resolution, for religious and healing roles, and for decision making in times of war and peace. Leveling-down mechanisms, thus, do not reverse the hierarchy between a leader and his group; the mechanisms simply keep the social structure as close to flattened as possible. Leaders are restricted and checked as not to extend their powers beyond what is necessary by the circumstances [citation in original]…. If a leader or a would-be-chief tries to dominate other group members or misuse his leadership role, group members may tell him that he makes them laugh (ridicule tactic), they may walk away, disobey or simply ignore him. Other tactics are to remove, ostracize or expel an over-assertive individual from the group, and, in extreme cases, execution is also an option (different groups exercise different techniques, see [citations in original])…. …Sometimes, leaders might succeed in exploiting their roles and gain more power. In most cases, though, initial intentions of leaders to overstep their authority are quickly identified and prevented by group members, even before an explicit exclamation needs to be made. Boehm [citation in original] posits that many anthropologists probably were unable to observe the tacit conflict between leaders and group members because hunter-gatherers are very skillful in identifying over-ambitious leaders and keeping them checked and restricted. Identifying these implicit yet meaningful social subtleties are aided by living in a small group whose members can more easily communicate and contain their leaders. The benefits of individuals who resist and restrain a dominant leader are clear. Individuals are better off sharing some power than not having any power at all. This ancient type of behavior is already manifested in “chimpanzees’ politics” where lower-ranking males form coalitions in order to dethrone a single alpha male, and then share power together [citation in original]. This ability has probably evolved gradually and become more sophisticated. Each group member benefits from good leadership but not from a despotic one. Not each individual, however, is capable of facing a powerful over-assertive leader alone. Hence, the shared interests of group members, to improve their own positions while upholding their autonomy, are completely consistent with the egalitarian outcome: each individual behaves in a way that maximizes one’s position and the outcome is egalitarian nevertheless. Shultziner painstakingly describes how changes resulting from the invention of agriculture correspondingly changed small, forager societies to larger, tribal communities and subsequently to civilizations and empires. Before the invention of agriculture and the beginning of the Neolithic era, groups were of a limited size. Groups could not have grown too big mainly because resources were usually scarce or insufficient to maintain a big group of foragers, who seasonally consume the resources in their proximity and move on to a new area, and because bigger groups required harder work to sustain (e.g. for food supply) and entailed more conflicts [citations in original]. After the Neolithic era has begun, small egalitarian forager groups settled down and started cultivating plants and animals for subsistence. Boehm defines these societies as tribesmen and says that “they have continued the political approach of hunter-gatherers under radically different ecological circumstances” [citation in original]. Tribesmen persisted with their denial of strong authoritative leadership and prevented it from developing. As a consequence they were “prone to raiding, feuding, and territorial warfare” and they were pushed into forming intertribal coalitions [citation in original]. The transition from a confederation of tribes to chiefdoms and kingdoms was accelerated by the competition between tribes and confederation of tribes, and this eventually gave rise to a strong and powerful central authority. Indeed, some of these chiefdoms and kingdoms eventually became the kernels of the first civilizations [citation in original]. The transition to sedentary life had a tremendous impact on other factors, such as the growing number of group members, and the ability to have an intimate knowledge of, and communicate with, all group members. The transition from the Paleolithic era to the Neolithic era entailed far reaching changes in environmental conditions: social, institutional, technological and cultural. These changes resulted in a reduced capacity to effectively control and contain leaders and over-assertive individuals. The new environmental conditions impaired the effective and subtle communication of small groups, the usefulness of leveling-down mechanisms, and eventually enabled group leaders to enhance their powers over the group [Emphasis added]. Thus, it is clear that environmental changes that brought about the transition from the Paleolithic Era to the Neolithic Era imposed strong pressures on the social organization of hunter-gatherer groups. However, the important question is: Did these changes produce evolutionary changes in the human psyche and its longstanding preference for egalitarian social organization? Shultiziner suggests that the ten millenia that have elapsed since the Neolithic era have not transformed “the innate physiological and psychological sets of human beings, which were shaped when human beings lived in small egalitarian societies.” He argues that this period is “far too short in evolutionary terms to create any substantial changes.” He cites the work of Leda Cosmides and John Tooby [citation in original], two pioneers of evolutionary psychology, in support of his argument. The environment that humans–and, therefore, human minds–evolved in was very different from our modern environment. Our ancestors spent well over 99% of our species’ evolutionary history living in hunter-gatherer societies. That means that our forebearers lived in small, nomadic bands of a few dozen individuals who got all of their food each day by gathering plants or by hunting animals. Each of our ancestors was, in effect, on a camping trip that lasted an entire lifetime, and this way of life endured for most of the last 10 million years. Generation after generation, for 10 million years, natural selection slowly sculpted the human brain, favoring circuitry that was good at solving the day-to-day problems of our hunter-gatherer ancestors — problems like finding mates, hunting animals, gathering plant foods, negotiating with friends, defending ourselves against aggression, raising children, choosing a good habitat, and so on. Those whose circuits were better designed for solving these problems left more children, and we are descended from them. It is necessary to understand these historical conditions in order to appreciate transitions to democracy in the 20th century or earlier. Saying that small egalitarian societies were the optimal and natural form of social structure under which human beings evolved does not suggest that it is the only type of social structure human beings can live under. On the other hand, saying that human beings can live under an array of structural environments does not imply that all institutional arrangements are just as good or apt for human beings to live under. The fact that in some circumstances human beings can adapt to living under totalitarian regimes, does not in any way mean that despotic social structures are as good as egalitarian social structures. Human evolution does not abruptly end with the beginning of the Neolithic era. Indeed, we know that in many cases human beings succeeded in maintaining their egalitarian structures into and far beyond the Neolithic period, and leveling-down mechanisms have not disappeared in tribal societies either. Most probably, egalitarian structures remain more suitable to humans today just as they predominantly have been until 10,000 years ago. The overall historical pattern towards more egalitarian political institutions and practices is consistent with our evolutionary history. The existence of small egalitarian forager societies in many continents is a further reminder of the aptness and persistence of this social structure to human life despite the pressures of modern environments. States and nations were not part of the Paleolithic era; nevertheless, democratic states are far more compatible with ancient egalitarian societies than with despotic or nondemocratic regimes [Emphasis added]. In Part IV of this essay, I shall discuss Shultziner’s creative synthesis of historical, anthropological, and evolutionary evidence/theory with recent research and theory in social and political psychology regarding the “need for recognition” and its relationship to the social psychological literature on self esteem. This contribution, I believe, will enable us to move toward a more synergistic democracy (Synocracy), which ultimately must recognize two very strong forces in human behavior and the need for their balancing, not only within the individual, but within the social order. These two forces were called: (1) the Self-Assertive Tendency and (2) the Integrative (Self-Transcending) Tendency by Arthur Koestler, a journalist, who posssessed a monumental, synthesizing intellect, having been a fellow at the Center for Advanced Study in the Behavioral Sciences at Stanford from 1964-1965. Each of these tendencies is actually a collection of tendencies. Koestler used these constructs in formulating his theory of the holon. In a subsequent part of this essay, I shall consider the nature of the holon in political discourse, particularly as it relates to the new “synergistic democracy” or synocracy, which is the theme of this blog. Again I’d like to point to the problem of size of a group. Even today as long as groups stay small they mostly automatically form a egalitarian society of one kind or another. However as soon as those groups grow too big for group members to be able to properly empathize with other members of the group, egalitarian structures are replaced by other political systems – depending on the nature of the group and its members. Thus of course the human mind hasn’t been evolutionary altered, yet it seems as if as soon as people aren’t directly confronted with the outcome of their actions against others anymore, greed and egoism win over what seems to be men’s natural tendency of synergistic behavior. Excellent point, migdalit. As the size of the group becomes larger, it becomes more difficult for members of the community, acting in concert, to rein in the over-assertiveness of leaders. 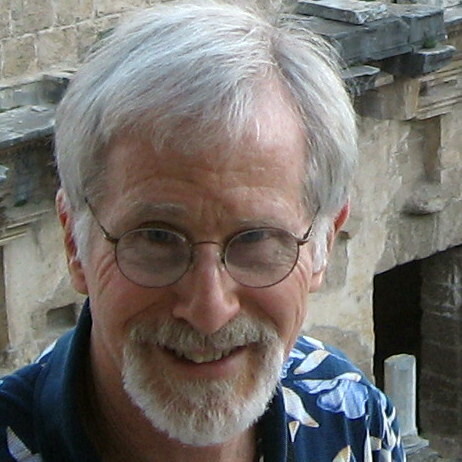 However, the invention of the Internet (Worldwide Web), with its immediate transmission of information through “monitory” groups, has served to expand the “leveling-down mechanisms” for potential operation within a much larger community, as I shall point out in a subsequent installment of this essay in returning to the work of political historian, John Keane. India leads Keane to a new characterisation of modern democracy. Early democracy, conducted in small states, was participatory. Its successor, representative democracy, was built upon ancient institutions, such as medieval parliaments and guilds, later augmented by the printing press and the rise of parties. Since the Second World War democracies have changed again, and Keane calls them ‘monitory’. This is the most complex form of democracy yet seen, involving a plethora of watchdogs, power-scrutinising institutions, pressure groups and single-issue protest movements. It means that the citizen is represented many times over, often by unelected and self-appointed bodies. This form of democracy sits uneasily with textbook representative models, with which we are still most comfortable and to which most of our institutions are, formally at least, still committed. Monitory democracy stands a chance of working when it is combined with an active citizenry; yet at no time has civil society seemed so impoverished. The price to pay for all this monitoring is intense loathing of politicians, an incomprehensible babble, and voter apathy. Worse still, ‘monitory democracy’ begins to seem like one where the state has turned the gaze back on its people. It is a world where no one is quite trusted: where the safeguard of vigilance has been perverted into indiscriminate suspicion. It is enough to make you fall out of love with democracy, and many already have. When monitoring bodies are estranged from the people they claim to serve, politics becomes something like a scramble among an elite. Perhaps, the survival of democratic processes will necessitate revisiting the Weltanschauung of early humankind in which the community member is conceived to exist, not as an isolated individual, for there seems not to have been conscious awareness of individuality and selfhood in early societies. Koestler’s notion of the holon seems important in this regard. It seems necessary that we begin teaching children early in a way that encourages a balance of the self-assertive and self-transcending tendencies. WITH SYNOCRATIC SPIRIT THE WORLD WILL BE A BETTER PLACE AND THE THE MEANING OF INTER-SUBJECTIVITY 0R ‘CO-ESSE’ OR AFRICAN ‘ NWUNEOLOGY’ WHICH MEANS THAT BLOOD IS THICKER THAN WATER WILL BE UNDERSTOOD …NWUNEOLOGY STATES THAT THE PHYLUM OF HUMAN INTER-SUBJECTIVITY AND CONSUBSTANTIATION SHOULD TRANSCEND THE VALUES OF TRIBE, RACE ,RELIGION AND NATION . THE EARTH-PLANET FORMS A FAMILY NET-WORK OF HUMANS WITH VARYING POTENTIALS WHICH COULD BE ENERGIZED TOGETHER TO IMPROVE THE FACE OF THE EARTH. THANKS REV FR PROF STAN ANIH.